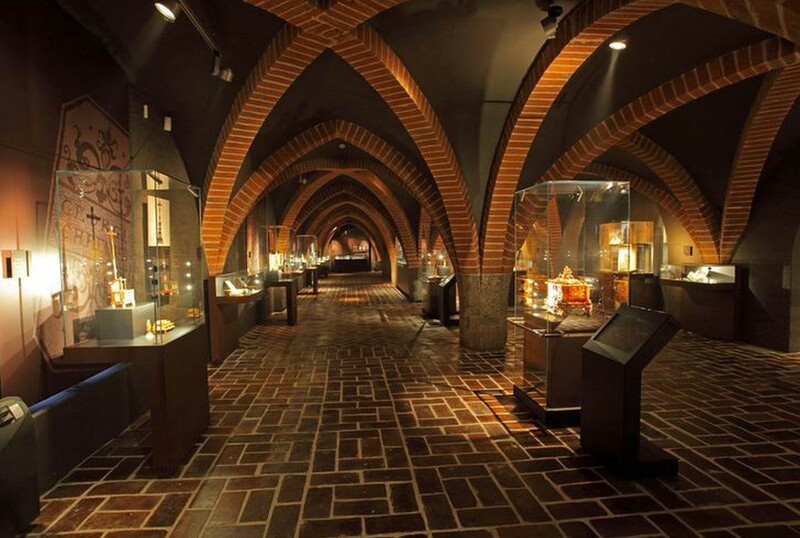 Between 4th March and 20th November 2011, the basement of the Middle Castle in Malbork held an exhibition entitled 'Amber Treasures'. 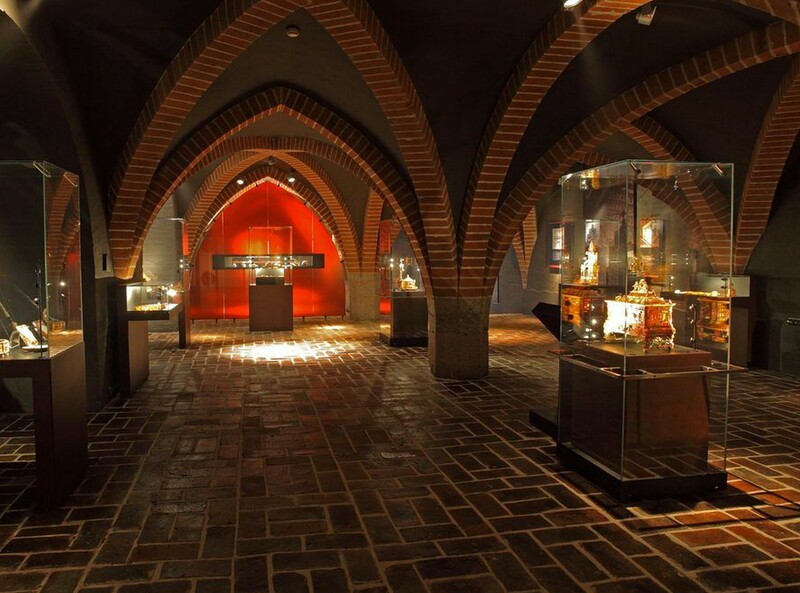 It presented the best exhibits from the Castle Museum amber collection. Studio 1:1 was entrusted with the development and implementation of the script for the exhibition along with the graphic design of the exhibition. 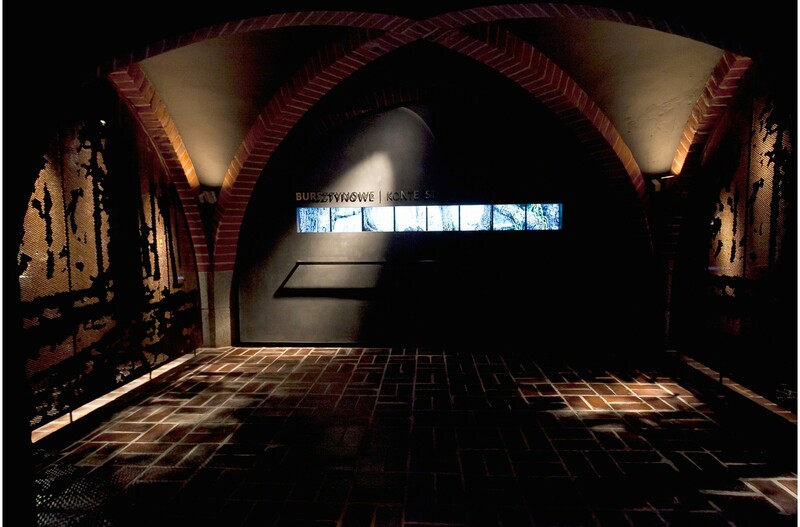 The design of the interior and presentation of the exhibits made the place feel like a mysterious treasury, illuminated only by golden amber emerging from the darkness.